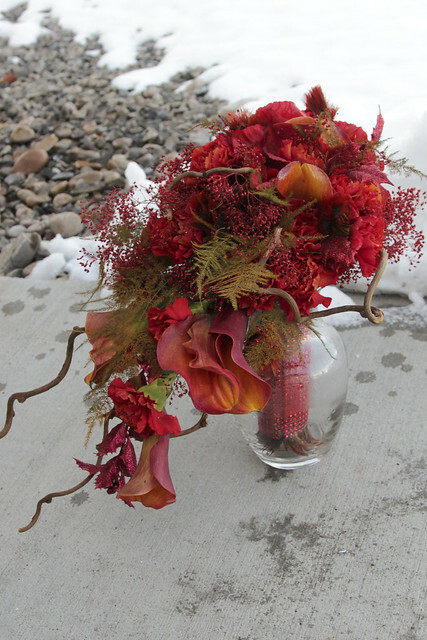 I was asked by my friend Terra at Magnifique Photography to come up with bouquets for a "Fire and Ice" bridal shoot. Total creative free reign. 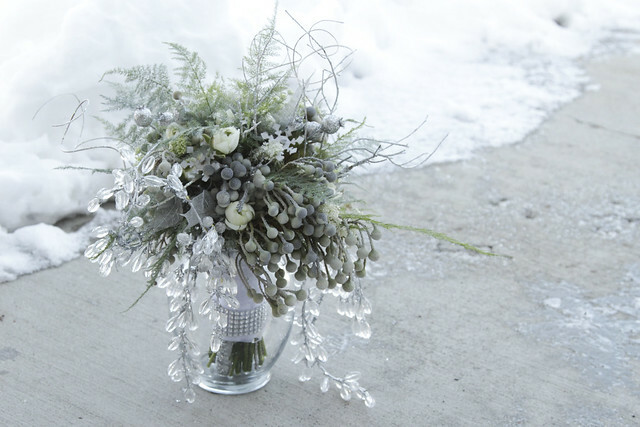 I'm excited to get some sparkly, perfect pictures from the shoot amidst ice sculptures. I had as much fun as I could afford with that one, and planning and executing it has eaten up most of my spare moments in the last week or two. But isn't it nice (as a mom) to create something so concrete and tangible? Every so often, having something to show for all your work is really a nice change. Speaking of which - nobody come over until I get my house put back together. Ooh! I love the what you made, especially the "ice" one. It looks like ice droplets. Such cool ideas you have, my dear.